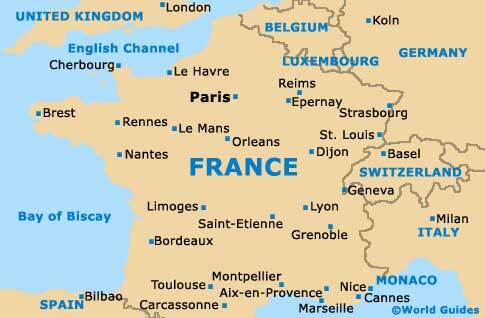 One of the largest and most densely populated cities in the whole of France, Marseille lies on the country's famous southern coastline, being sandwiched between Genoa in Italy, and Barcelona in Spain. 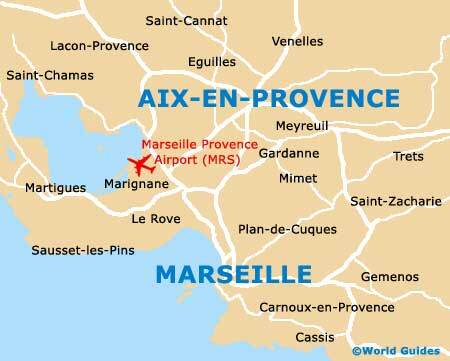 Located within the scenic Provence Alpes Côte d'Azur area, Marseille is located next to the Mediterranean Sea and is home to an important commercial harbour. The city of Marseille stands in the very heart of a spreading metropolitan region and features an attractive backdrop of mountains sited directly north, with the tall Mont Saint Victoire dominating much of this area. On the eastern side of Marseille you will find the village of Cassis and also the bustling town of Toulon, while on the city's western side, the Camargue region can be found and is known for its extensive lakes and marshland. Within central Marseille itself, much of city life is based around the main artery of La Canebière and many attractions are located nearby, such as the Old Port, the marina, the fish market, Fort St. Nicholas and also Fort St. Jean. 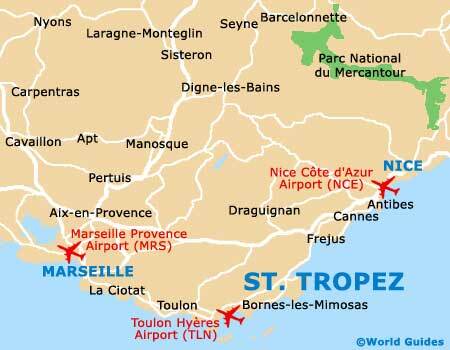 Outside of the Marseille, the following cities, towns and villages can all be reached by either car, bus or train, and are shown below with approximate timings.